During Lent I am reading/writing my way through writing to God: 40 Days of Praying With My Pen by Rachel G. Hackenberg. Sometimes I will post my prayers. NOTE: I have the good fortune to partner with Fawnda from Fireflies and Jellybeans for a giveaway of her tote pattern to a Fruitfulwords reader. (I was one of her pattern testers.) Go to this link for the details. The deadline to enter is February 26, 2012. Entry filed under: Gratitude List, Lent, Main, Photo-a-day. 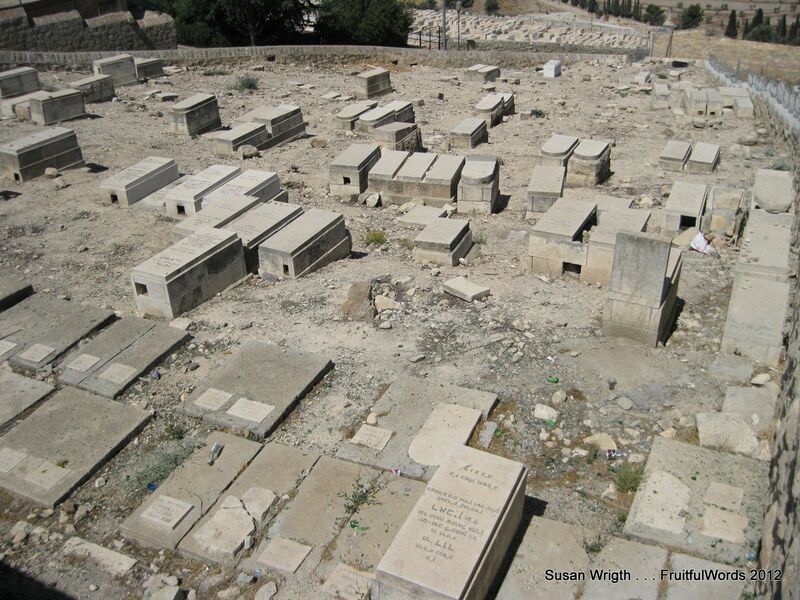 Tags: gratitude, Jerusalem graveyard, Lenten Reflection. Two Month Winter Bucket List Check Up	I am a chocoholic! 1. tristenerinhohn | . at . I just put the book on my wish list. I love the idea of it:) Thanks for sharing! Tris, This is my first time through the book. Although I bought it for last year. I should have realized that doing this ” book”while on an epic vacation of a lifetime (New Zealand) was unrealistic. This year there is nothing to stop me from writing/praying my way through lent. 3. Sillydoodah (Dawn) | . at . Woohoo! Great poem! I will have to check this book out. How cool! Look forward to your posts. I realized from analysing my posts from last year, that I am not that good at staying faithful to writing series of posts. That is why I didn’t commit to writing my reflections every day these coming 39 days. What are you and ym doing for Lent?